Confederate monuments are stirring emotion and debate in America, and many are being removed. But they aren't the only historic figures drawing outrage. In San Jose, members of the Brown Berets say they don't think they should walk into City Hall and see a statue of a man who killed native people. They say the Christopher Columbus statue is offensive, and they want it moved. More than 1,400 people have signed a petition demanding the statue's removal. Activists from the San Jose group say the statue is obscene and offensive to the native community. City leaders such as Councilman Sergio Jimenez understand the concern. "Certainly, Christopher Columbus doesn't evoke positive images for me personally, but the Italian community, they see him differently," Jimenez said. A plaque on the statue says the Italian explorer discovered America. It doesn't mention his role in enslaving and killing native Americans. Mayor Sam Liccardo welcomes the debate. "Individuals who very well have had prominent important role in history had a dark engagement in history as well," Liccardo said. "It's important we have a public discussion." But Liccardo added that city leaders can make a bigger impact working to lift up communties. "How we expand economic opportunity in communities of color, how we protect immigrants in light of what's happening at the White House, how we can engage in concrete options that matter," Liccardo said. 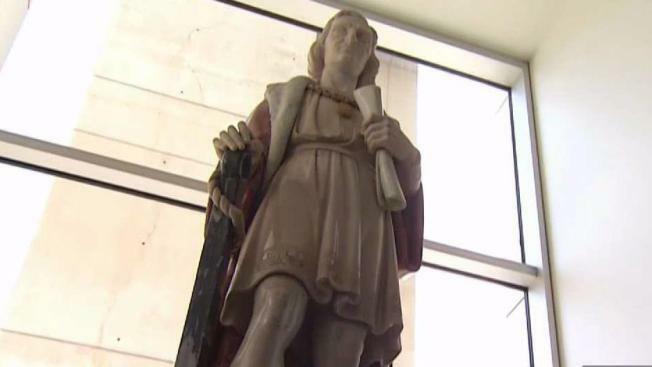 Discussion about the future of the Columbus statue is likely to land with the City Council. Petition organizers plan to present 1,500 signatures to the mayor and council.